Cactus Needles Knitting Guild (CNKG) was started for people of all ages and skill levels to get together and knit, share their projects, and be social. Our goals are to provide education to advance the quality of workmanship and creativity in knitting endeavors, contribute to charitable community organizations and to provide social opportunities for knitters. Our members are a diversified group, coming from all over the valley, working and retired, and with varying levels of knitting ability. We continue to look for ways to accommodate the day knitter as well as the evening knitter. We meet the first Monday of each month. At each meeting there is hands on teaching program related to fiber arts. 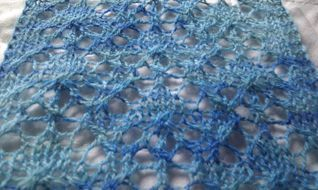 We also arrange Knit-Togethers throughout the month where knitters get together for a relaxing afternoon or evening of sharing and knitting.